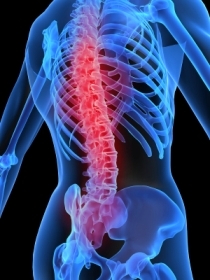 Only those who have suffered back pain themselves can know how awful it is. Back pain is one of humanity's most frequent complaints. In the U.S., acute lower back pain (also called lumbago) is the FIFTH most common reason for physician visits. About NINE out of TEN adults experience back pain at some point in their life, and FIVE out of TEN working adults have back pain every year. So, you are not alone. You will know that medication hardly helps. Most interventions seem to work for a short time only, or have horrible side effects (like some medications used). Here are some DRUG-FREE alternatives to conventional back pain treatment. The Inversion Tables are my Number One recommendation. They work within 3 to 5 days for most back pain problems and then a daily maintenance of 10 minutes inversion is enough to keep the back pain under control. So, this treatment actually addresses the root of the problem. TENS devices such as the Biostim Micro Plus, the PainEze (Plus & Extra) and the Quadstar (for professionals such as physiotherapists) help manage the pain VERY effectively, but the relief is symptomatic only. The underlying cause is not improved. All these products carry a 30 day money back guarantee, no quibbles.